Michael has a reunion that doesn't go quite as planned while Georgiou and Tyler realize that there's something not quite right with Leland. 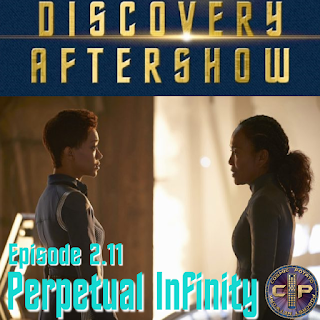 Christopher DeFilippis joins us once again to discuss the eleventh episode of Star Trek: Discovery's second season. It was written by Adam McElroy and Brandon Schultz. It was directed by Maja Vrvilo.